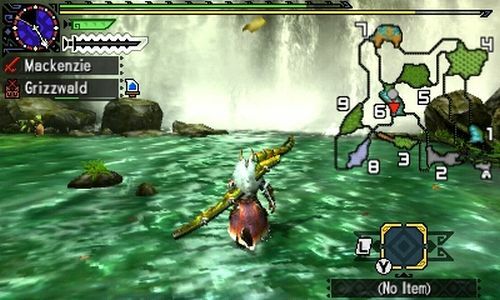 Flashy new features, same old Monster Hunter. 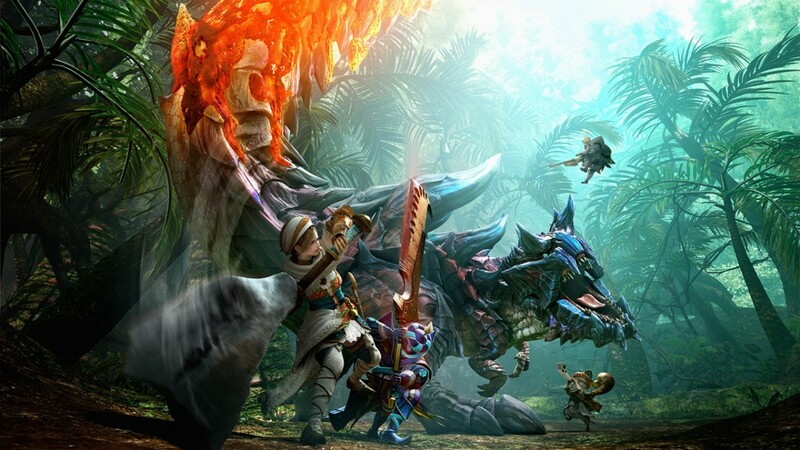 Technically speaking, Monster Hunter Generations isn't a proper full-on sequel. Think of it like a scenic detour, the kind you take when you want to drive by the world's largest ball of aluminum foil. Generations strips out a lot of story and circumstance from the main game in favor of adding tons of new weapons, quests, armor sets, and just about everything else. It pays homage to its roots while simultaneously pointing off to the side and saying "How about we go this way for a bit?" The basic set-up in Generations is the same as always. You're a hunter, the guild has quests you can sign up for, and village elders have tasks they'd like you to complete. Pick a weapon, get yourself equipped for the run and head through the gate. When you come back, you'll have a satchel full of stuff gathered and carved from conquered enemies, just the thing for crafting new armor and upgrading weapons. Repeat this process until the next game comes out. 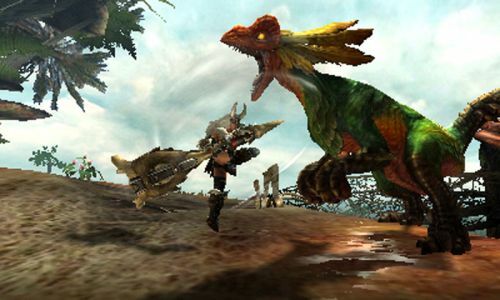 The big new feature in Generations is the addition of hunting styles and hunter arts, each adding a dash of salsa to the main Monster Hunter meal. Before heading out on a quest you'll choose between Guild, Striker, Aerial, and Adept styles. Each one changes your weapon combos while giving you access to a new ability. For example, Aerial lets you roll and leap off of monsters so you can initiate mounts without standing on a ledge. In return, you might sacrifice a stock evasive maneuver or lose a finishing blow from your cherished attack combination. Pairing nicely with hunting styles are hunter arts, abilities that can be charged up and unleashed out in the field. There are a handful of basic arts players can equip at all times, things like a long distance evasive roll to make a last minute escape or a basic recovery skill. Depending on the equipped weapon, hunters will also have access to exclusive abilities, some of which are spectacular to behold. Ever tried using your gunlance as a rocket? How about a huge meteor slam with a hammer? These new styles and skills sound like they change the game's core tactics, but in reality they're only a new layer of icing. Raspberry instead of chocolate. You'll choose styles based on the monster you're taking down, the combos you prefer, or just because you forgot to change it from something else. No skill gives you an unfair advantage, and none are required to beat a quest. They're just big and exciting additions to the series that lend a gentle arcade-style feeling to the game.